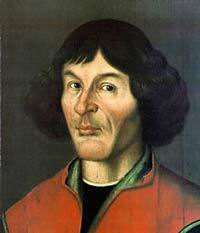 Nicolaus Copernicus was a German-Polish astronomer who helped found the discipline of astronomy when he posited that the earth was not fixed but rather was a moving planet. He believed that the sun, not the earth, was the center of the universe. This theory came to be known as heliocentrism. Copernicus was born in Thorn, now Torun, in Poland. When he was of age, he went to the University of Krakow. Through the influence of his uncle, Lucas Watzenrode, a prince-bishop, Copernicus was made a canon of the cathedral chapter of Frombork, now called Frauenberg. Because he was a canon, he had an income to support his astronomical studies. The cathedral chapter also gave him permission to continue his studies in Italy. Copernicus went on and received a master’s degree from the University of Bologna and a doctorate’s from the University of Ferrara, where he also studied medicine. When he returned to Poland, he became the medical adviser to his uncle and served as a canon. He served in this position until his death. Copernicus was a bachelor and had no children of his own, but he looked after the orphaned children of Katharine, his sister. When Copernicus was a young man, many astronomers believed in the theory that Ptolemy had formulated 1400 years before, which claimed that the earth was the center of the universe and did not move. Ptolemy said that everything revolved around it because that is what he observed in the sky. However, Copernicus doubted Ptolemy’s theory. He believed that the earth speeds through space and that people cannot see this motion because they are traveling along with the earth. Copernicus realized that the motion described by Ptolemy was not true and what people see in the sky is affected by the motion of the earth. The real motion in the heavens needs to be separated from the apparent motion. Copernicus applied this idea to his tome, Concerning the Revolutions of the Celestial Spheres, in 1543. He dedicated the work to Paul III, who was Pope at the time, quite possibly to shield himself from any repercussions from the Catholic Church. In this book, Copernicus showed how the motions of the earth could be used to explain the motions of other heavenly bodies. He believed there were eight spheres. In the outermost sphere hung the stars, which were immutable, or did not move at all. The sun was in the center of the spheres and it was surrounded by the spheres of the known planets. The moon had its own sphere around the earth. Copernicus’ theories laid the foundations of the discoveries of Galileo, who discovered the moons of Jupiter, the planetary laws of Kepler and the gravitational principles of Isaac Newton. Because it removed the earth as the center of the universe, Copernicus’ theories became very controversial, though it took the Catholic Church a surprisingly long time to ban Celestial Spheres. Copernicus died in 1543 when he was about 70 years old in Frombork, the place where he wrote his masterpiece. He is buried in its cathedral.